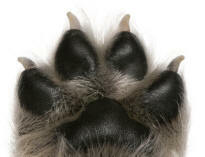 Having five digits (fingers, toes) on a limb. Located away from the middle of the body, or a structure of the body. 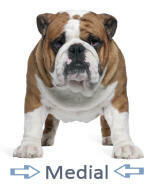 Relating to or located towards the left or the right side. Remaining as a remnant or trace of a structure that had been present in the ancestors of a species. Often the original functionality is (to some degree) now lacking, and the structure has become rudimentary or degenerate. 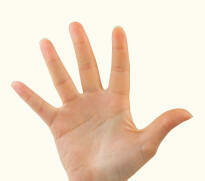 A digit of a hand, excluding the thumb. 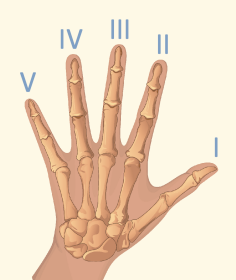 Fingers are named and identified by Roman numerals.